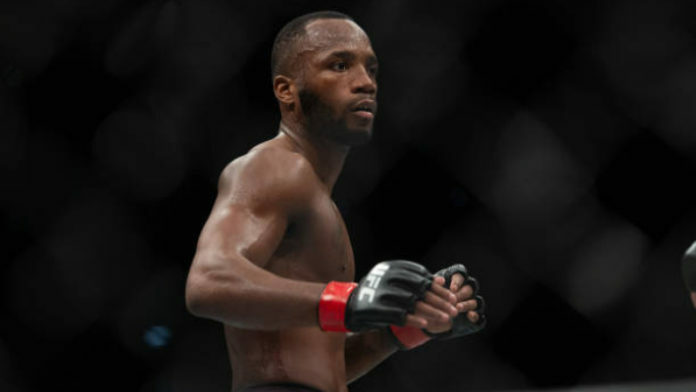 Leon Edwards didn’t take long to respond to the incident that took place following UFC London between himself and Jorge Masvidal. Edwards and Masvidal competed on the card yesterday (March 16). Edwards nabbed a split decision victory over Gunnar Nelson. Masvidal stunned the London crowd with his brutal knockout win over Darren Till in the main event. Things got ugly between Edwards and Masvidal backstage after some trash talking. The two welterweights approached each other and Masvidal landed punches, cutting Edwards in the process. “Very happy with my performance last night against a very high caliber opponent in Gunnar Nelson. Much respect to you Gunnar that was a great fight and look forward to seeing you bounce back. Thanks to my team, friends, family and the fans for everything. Masvidal gave an explanation for his actions shortly after the brawl took place. “Gamebred” claims that Edwards approached him with his fists up, so he took it as a threat. There’s no word on if there will be any sanctions.